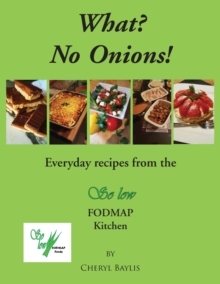 This book contains plain and simple, easy to follow recipes with colour photos, developed and adapted for anyone who suffers from IBS type symptoms or other digestive disorders and wants the benefit of reducing their intake of FODMAPS. Using alternative ingredients that are fresh, nutritious and tasty these recipes are for the whole family to enjoy every day favourites, from Lasagne, Chicken Tikka Masala, and Pizza to Sticky Toffee Pudding, Strawberry Cheesecake and Millionaire's Shortbread. There are many books that explain a low FODMAP diet. So low FODMAP Foods are dedicated to developing low FODMAP recipes.